For a long time, people in the 19th century, living in urban apartments, didn’t regularly take their children outside so they could get some fresh air. Then, the doctors started to recommend that these children really needed to get outside for fresh air. Now that doesn’t necessarily mean that the parents were real excited about the idea of loading up their child and taking them for a walk…just to get the recommended amount of fresh air. Nevertheless, it was important, as the doctors told them that it would strengthen their immune system, and with the number of pandemics that had gone around, the parents really tried to do whatever they could to make this happen. 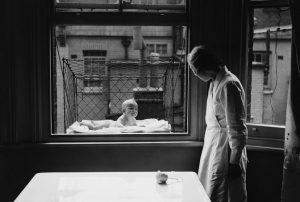 While physicians such as Dr. Luther Emmett Holt advised simply placing an infant’s basket near an open window, some parents took it a step further. Enter the Baby Cage. The baby cage was just what it sounded like. It was a platform, with chicken wire all around it to keep the baby in. This whole contraption was then suspended outside the window…even if the window was on the sixth floor or something. 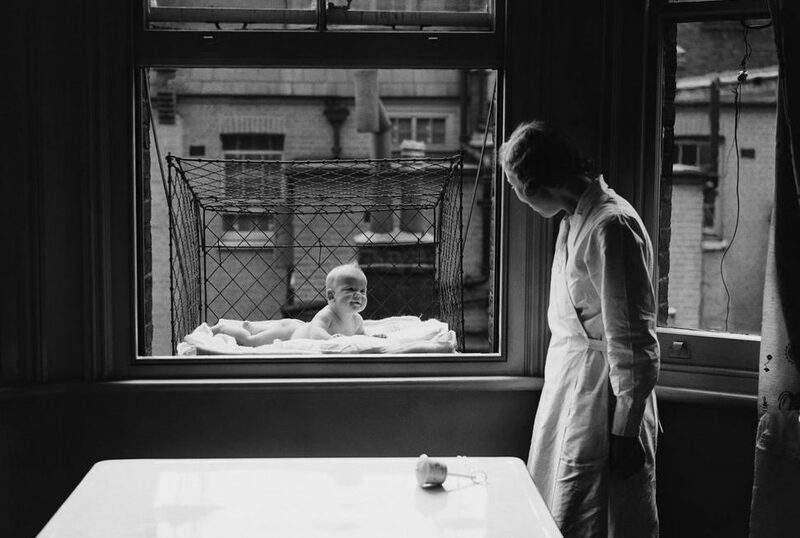 Personally, I can’t imagine hanging my baby outside my window for a dose of fresh air, but it was an actual thing in those days. Eleanor Roosevelt, who by her own admission “knew absolutely nothing about handling or feeding a baby,” bought a chicken-wire cage after the birth of her daughter, Anna. She hung it out the window of her New York City apartment and placed Anna inside for her naps…until a concerned neighbor threatened to report her to the authorities. I would think so. If the brackets that suspended the cage to the window came loose…so long baby. I couldn’t find any incidence of such a thing happening, however. 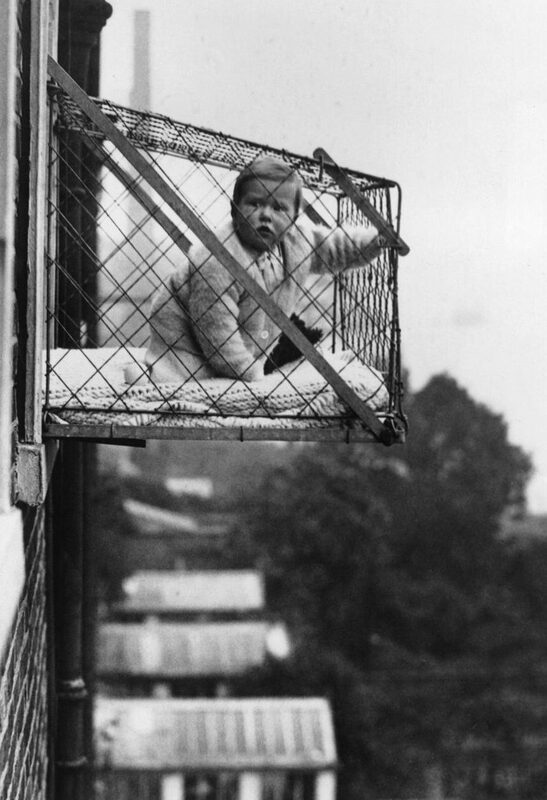 The first commercial patent for a baby cage was filed in 1922 by Emma Read of Spokane, Washington. 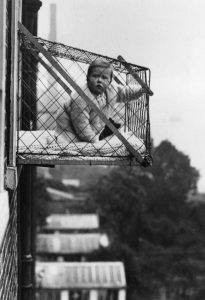 The cages became popular in London in the 1930s among apartment dwellers without access to backyards. Ultimately, their popularity declined. It is possible that this was connected to safety concerns. As I said, I can imagine. I would have nightmares about that if it were my child.